Just eight miles from the Pacific Ocean in the rolling hills of San Diego’s North County lies a community rich in all of life’s simple pleasures. From parks and trails to amenities including shops, restaurants, and award-winning schools, San Elijo Hills offers residents the ideal combination of convenience and community. 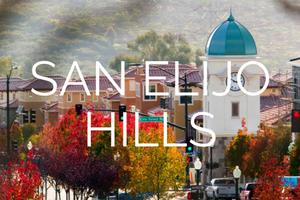 San Elijo Hills is served by the San Marcos Unified School District. Perfect for outdoor lovers, the community’s parks and hiking trails allow residents to take full advantage of the area’s natural beauty. Since its inception, San Elijo Hills has drawn people to it with its focus on a ‘small-town’ feel – hosting concerts in the town square, an Oktoberfest celebration, nature hikes, and movie-nights.